Prime Minister Voreqe Bainimarama at the opening plenary of the Global Climate Action summit Sausalito, California. 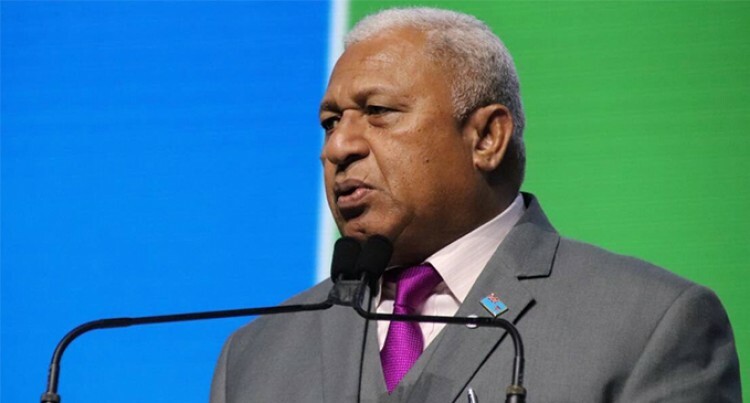 Prime Minister Voreqe Bainimarama gave yet another impassioned speech when he addressed global leaders and climate representatives from around the world in California, United States on Thursday. Mr Bainimarama was speaking at the Global Climate Action Summit on Ocean Leadership Dialogue in, Sausalito. “With climate change and a warming ocean, the storms we face are getting stronger and stronger,” Mr Bainimarama said. “They also may be getting larger, and we have now seen several cases of storms moving very slowly and dropping unheard-of amounts of rain. In the Pacific, we cannot sit by and watch the sea take our territory and drown our mangroves and atolls. “We can’t sit by and watch our coral reefs disappear and the fish we have depended on migrate to more comfortable waters. “And we refuse to sit exposed and defenceless before Category 5 cyclones any more. We are taking steps to protect ourselves. “Let us not hold back, not one ounce of energy. “We must take the knowledge we have and move to action, and we must continue to do this as we learn more and more—more knowledge leading to more action.